ExpertOption is a binary options broker. They use a custom-built trading program for binary trading. They offer trading options on most assets including Forex pairs, oil and major market indexes such as the S&P 500. Their trading platform is straightforward and easy to use. They offer a high payout on most of the trading assets they support. 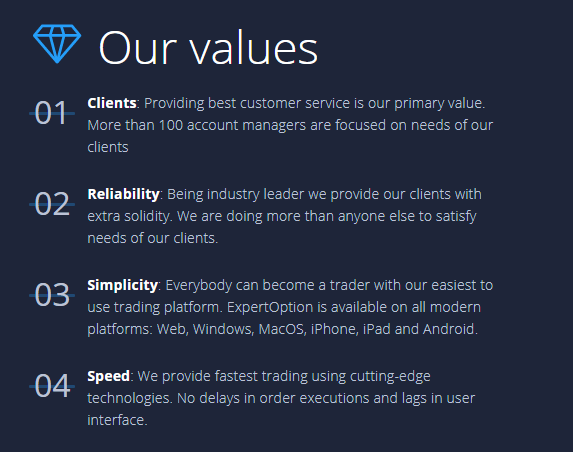 ExpertOption was founded to create transparent digital trading for their clients. They pride themselves on educating their clients and aim to create high trading volume. In the end, their main goal is successful customers. They provide several ways to help you. They offer desktop apps for Windows and macOS. Android and iPhone apps are also available, so you’re never far from your trades and money. If those options aren’t for you, you can use their trading platform in your browser. We liked the phone apps best, but the other apps worked perfectly. Using the app on the phone was simply more appealing to our mobile nature. Their quotes are some of the most accurate quotes you’ll find on any platform. Orders are executed quickly, so there’s little chance of missing your mark. According to their website, evolving with the market and constantly adding new features and financial tools is a driving force behind ExpertOption. Your experience is important to them, and we believe them based on our experience. Social trading gives you access to real-time analysis of what people in your network are buying or selling. You can watch your friends or networked associates open and close deals in real-time. You can share knowledge, ideas, and insight into markets and assets. It’s almost like a game, and the goal is to be the most successful or help those in your circle succeed. There is training available for almost every aspect of trading. You’ll learn how to forecast price behavior. 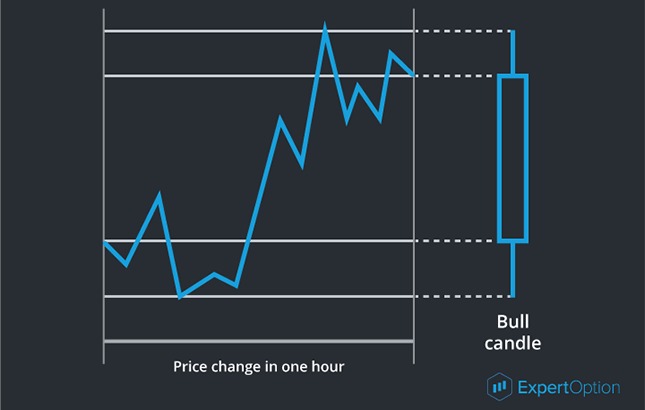 Using their technical analysis tools, you can learn how to forecast prices based on price movement history. In essence, you learn how to assume what a price will do in the future based on past actions. For a better explanation, have a look at the education materials and chart examples provided on the ExpertOption website. Other educational topics include trading strategies, technical analysis, graphical analysis, fundamentals analysis and the psychology of trading. There’s a great deal of information available to help you get started and hone your trading skills. As you’ll learn in the next section, some plans include access to account managers as well. Accounts are based on deposits, and features are unlocked as you deposit more money. For instance, the amount of money you have to work with is based on your deposits or earnings but is limited based on investment amounts. For instance, depositing more money opens up larger deal amounts and the number of open deals available at one time. They have several deposit amounts to begin with, and each one comes with different options or a combination of lower deposit account options. Start with a $50 deposit. You’ll get educational materials, ten open deals, and a maximum deal amount of $25. This is the most basic plan and may be a good starting point to learn about digital options trading. With a $500 deposit you’ll get everything from the Basic plan with a few changes and additions. You get an introduction to a personal manager, daily market reviews and research data, 15 open deals, and a maximum deal amount of $250. This option is very similar to the Basic plan except you have more money to use. Deposit $2500 to take advantage of all the previous plan’s perks plus the Gold plan additions. You get an introduction to a personal manager, daily market reviews and research data, 30 open deals, and a maximum deal amount of $1000. This option is very similar to the previous plans except you have more money to use. The only real addition, besides the amount of money, is access to priority withdrawals and up to 2% increased asset profits. Deposit $5000 to unlock almost all the features available. You get an account manager, daily market reviews and research data, priority withdrawals, no limit on open deals, and a maximum deal amount of $2000. This option opens up all the features including up to 4% increased asset profits. There is an invitation-only plan which offers all the features associated with the Platinum plan. You get a senior account manager with this plan and up to 6% increased asset profit. However, this plan is invitation only so it not available right away. 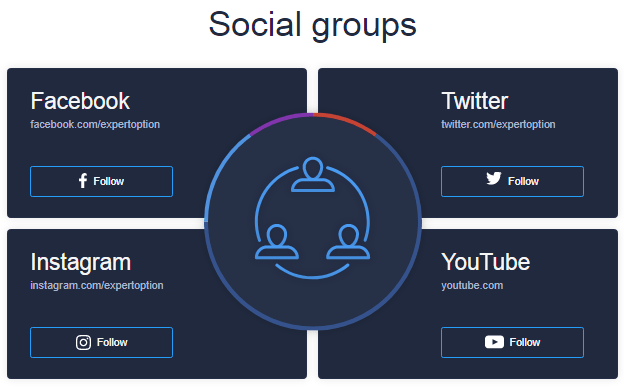 If you are not sure which plan is right for you or if this platform has all the features you need, take advantage of ExpertOption’s demo account. It’s a simple account with $10,000 in fake currency, but it gives you a very real feel for what trading is like and how the platform works. If your mind isn’t made up after reading this article, get a demo account and take it for a test drive. Are There Downsides to Using ExpertOption? To gain access to the full features of their platform you’ll need tp make a substantial investment, but you can test it out for as little as $50. Either way, you’ll have full access to all their educational materials. To get the most out of your trading, you will almost have to invest $2500 or more. It’s unlikely you’ll show much profit otherwise. This is not a flaw in the platform, but due to a lack of funds available for your purchases. Investing more money means bigger returns on successful trades. This particular downside is debatable because many traders aren’t looking for large returns. The option of social traders and turning trading into a competition with your friends and peers is often the appeal for some people. A $50 investment may be just what these types of traders are looking for in a trading platform. The minimum investment amount is $1, which is on par with similar platforms. You’ll need to have a minimum of $10 in your account to withdraw any funds, and the withdrawal process usually takes about two days. The two-day wait for withdrawals is a bit long considering how easy it is to move money today. If you live in the USA, Canada, European Economic Area, Switzerland, Israel, New Zealand, Australia, Japan, North Korea, Puerto Rico, or Sudan, ExpertOption isn’t available. This isn’t technically a downside, but worth noting for those residing in the countries above and searching for a digital options trading platform. Especially since the social trading features are so appealing to us. Contrary to the last positive comment above, the only negative comments are directly related to withdrawals. As we mentioned above, it takes 2-days to withdraw money, and you have to have a minimum of $10 to withdraw anything at all. While this may not be ideal, it’s certainly not a negative aspect of ExpertOption. Head over to ExpertOption’s demo app and take it for a test drive. You’ll find a sleek design with everything you need easily accessible. We really liked the look and feel of the app and how easy it was to get used to using it. It only took a few minutes to get the basics figured out. It only took a few minutes of reading their educational materials to figure out the less simple portions. Once you see how great the app is, the next step is choosing your investment option. Start with $50 if you’re still not sure. We think you’ll enjoy the experience and find all the tools and information you need to make your trading successful.